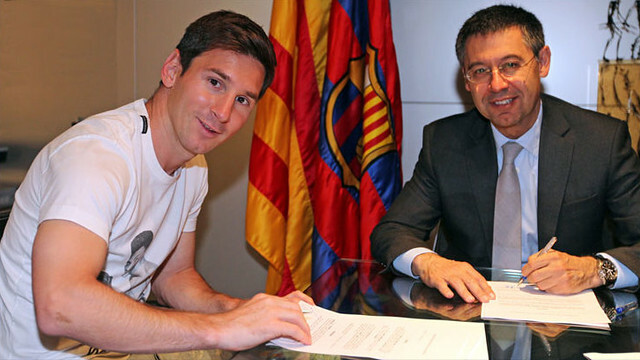 FC Barcelona would like to announce that Leo Messi and the Club signed a revised contract this afternoon. The signing took place in the presence of Leo Messi, his father Jorge Messi and the Club President Josep Maria Bartomeu, as well as the sporting vice-president Jordi Mestre and the Club CEO, Antoni Rossich. During the signing, which was made in the Presidential Box at the Camp Nou, Leo Messi repeatedly expressed his excitement about the new deal.